One of the world's most famous treasures, hunted for over 500 years. . . 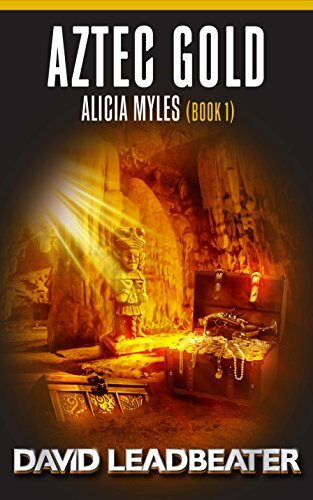 The legendary Aztec Gold, a nation's greatest prize and possession, spirited away from under the noses of the conquering Spaniards, finally comes within reach when an old mystery is solved and new clues arise. An all-action mission against deadly enemies. . .
David Leadbeater is the author of twenty Kindle International Bestsellers - the Matt Drake and Alicia Myles series', the Disavowed series and Chosen. For a true chronological reading order of the Matt Drake, Alicia Myles and Disavowed series' please visit his website. He has sold over half a million e-books on the Amazon Kindle.